When I think of cloves I think of mom’s home cooked ham with cloves stuck inside for fragrance and flavor. I think of pomanders made with cloves and oranges. Generally I associate cloves with good food and good feelings. They are a miraculous little flower though for healing. Cloves come from an evergreen tree called Eugenia Caryophyllata. This tree is native to Indonesia, and the dried flower buds are what we know as cloves. The oil is extracted from these buds, and also from the stems and leaves. Clove has been used as a breath freshener and toothache reliever for centuries. Its ability to stave off disease was known in the ancient world, but why it is effective against illness was not known until bacteria and microbes were discovered. Clove has antibacterial, antifungal, and antiviral properties. 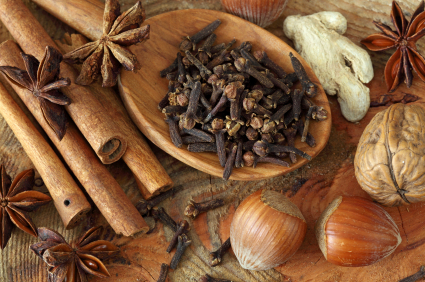 We can still experience clove’s benefits today. Here are some of them. * Oral health – Using a solution of diluted clove oil as a gargle or mouthwash is effective against sores in the mouth and/or bad breath. * Athlete’s foot – Clove’s pleasant scent and antifungal properties make it a good treatment for athlete’s foot. * Tooth and head pain – When diluted with a carrier oil and applied directly to the painful area of the mouth, clove oil numbs pain. Even some commercial preparations intended for oral pain relief contain clove oil. Massaged into the temples, clove oil is also said to relieve headaches. * Antiseptic – Diluted clove oil makes a soothing antiseptic ointment for cuts and scrapes. Its antimicrobial properties help prevent infection. * Upper respiratory health – A steamy bowl of hot water with a few drops of clove oil can provide a healing, anti-inflammatory steam that you can inhale. * Digestion – Clove oil helps treat flatulence and indigestion. When it is added to foods it can help offset some of the negative digestive effects of the food. * Cholera – Several sources suggest that this serious disease can be and has been treated effectively with clove oil. * Clove lozenges – use clove oil to flavor homemade hard candies. * A few drops of clove oil added to a cup of carrier oil can be used for massage and as an antiseptic. * Insect repellent – cloves stuck into an orange or apple, and then dried makes what calls a pomander. This repels insects when hung into a closet or placed in a clothing drawer. * Foot powder – make an antifungal foot powder by mixing 3 parts cornstarch, 1 part baking soda, and 3-5 drops of clove oil. Shake well. 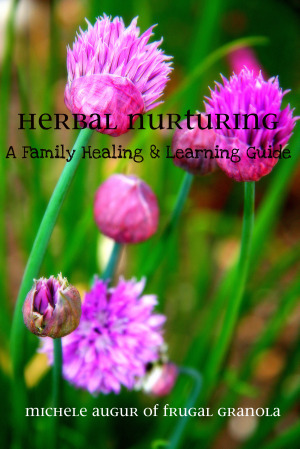 For more practical advice on natural healing I HIGHLY recommend this awesome ebook written by a talented mama and blogger called Herbal Nurturing. It rocks!